3. (Velcro) HOOK & LOOP: Attach velcro loop (self-adhesive #782) to top or face of shelf. 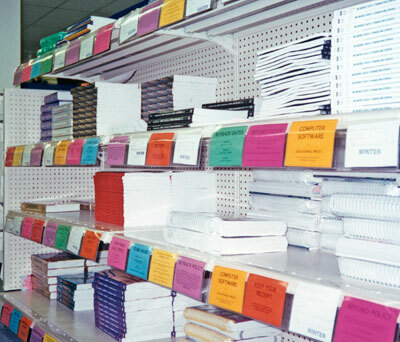 Then attach velcro hook (self-adhesive #784) or velcro hook squares (self-adhesive #786) to back of Shelf “Talker”. You will need 5” of loop and 5” of hook (or two hook squares) for each Shelf “Talker”.